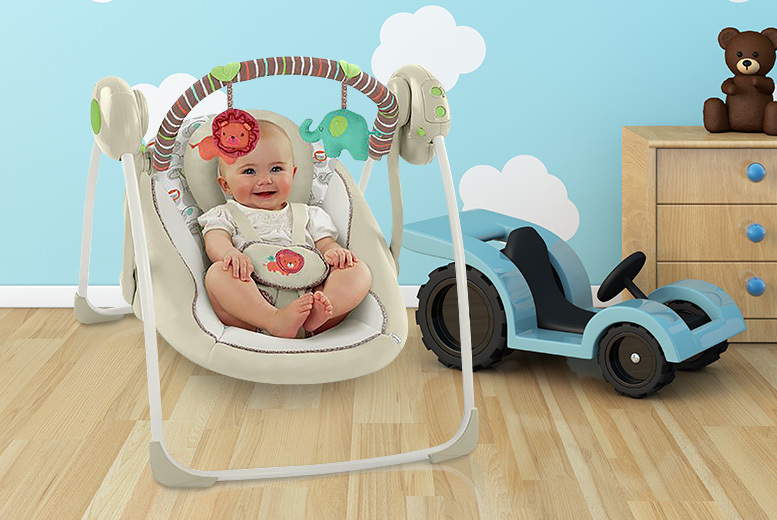 Get a Bright Starts comfort harmony portable swing! With TrueSpeed™ technology that maintains six speeds. As well as six melodies with volume control and auto shut off. Has a wind timer with 14, 30 and 45 minute settings. Also comes with a 5-point harness with non-slip feet. Keep your baby content all year long!